The long-standing foam party takes over the Main Room of the legendary superclub once again. For those who like it wet and wild on the dancefloor, here's your chance to be slathered from head to toe at the quintessential foam party. The Espuma Bubbles & Foam Party returns to Amnesia for another summer of effervescent merrymaking. 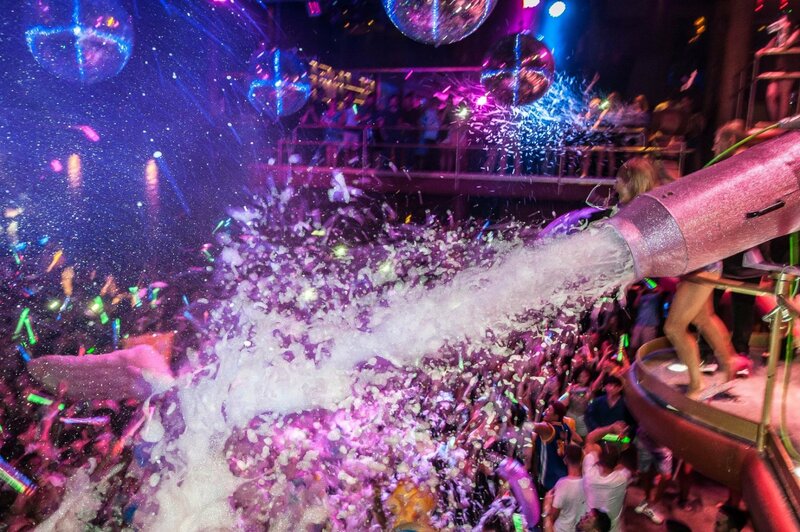 Watch or dive into the Main Room at Amnesia as it floods with bubbles, foam and plenty of unrestrained fun. With nothing quite like dancing semi-submerged in a sea of froth, this party is pretty much a must for those who love to let loose without holding back. Taking care of tunes, resident DJs Caal and Les Schmitz will be soundtracking the summer with your favourite classic house music. The Espuma Bubbles & Foam Party awaits you every Wednesday from 27 June to 12 September. After over 20 years flooding the dancefloor, this party resides in a category all its own.